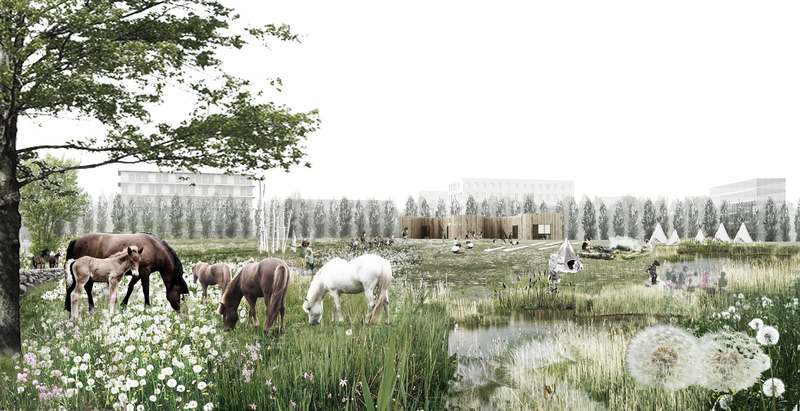 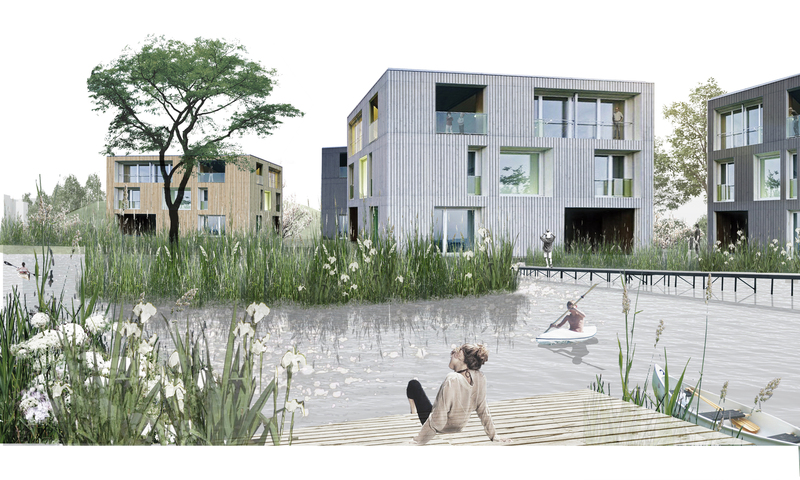 For our project, Dyrehavegårds Jorde in Lyngby, our vision is to create a landscaped city where knowledge-intensive companies can stay close to DTU (Technical University of Denmark), and where students and families can settle down in apartments and single-family homes. 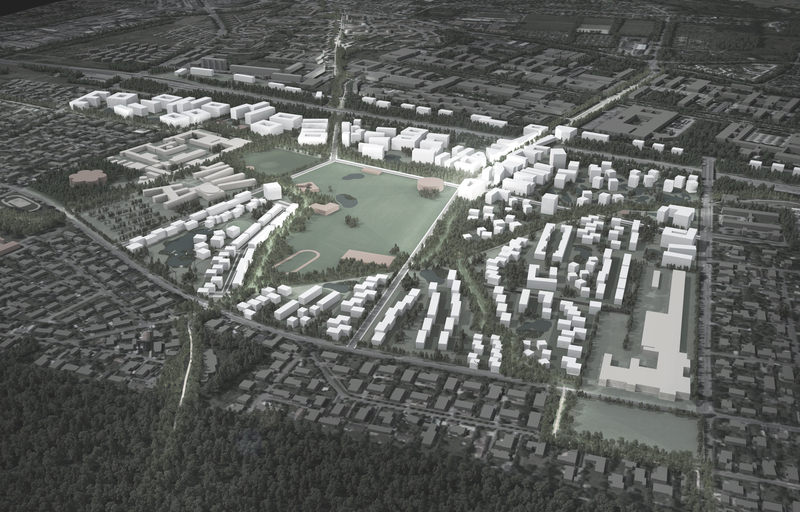 Dyrehavegårds Jorde is an ideal location next to DTU and its well-integrated infrastructure. 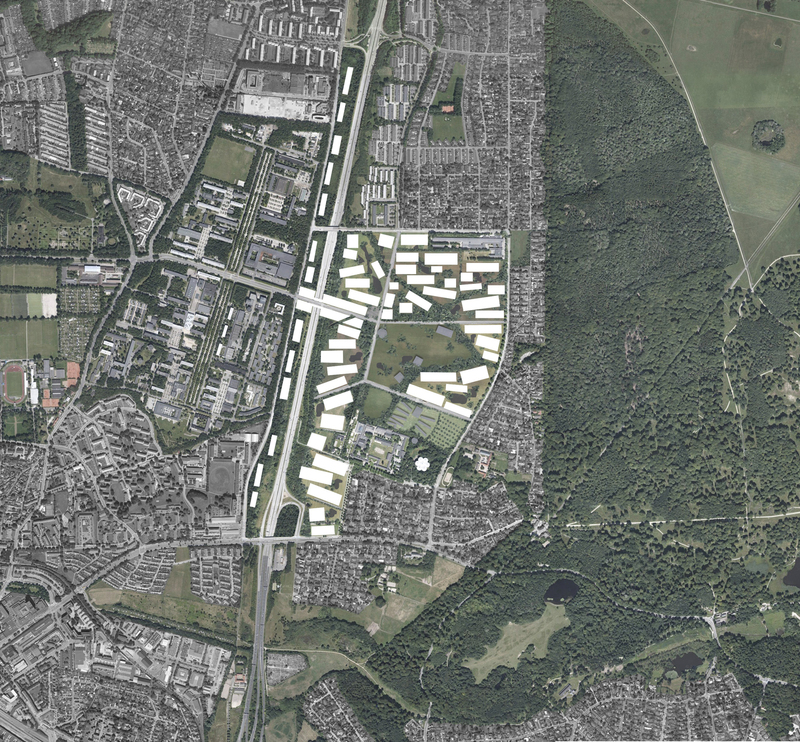 It is an obvious opportunity to attract research-based companies to the area and to develop a new innovation and knowledge park right next to the technical university. 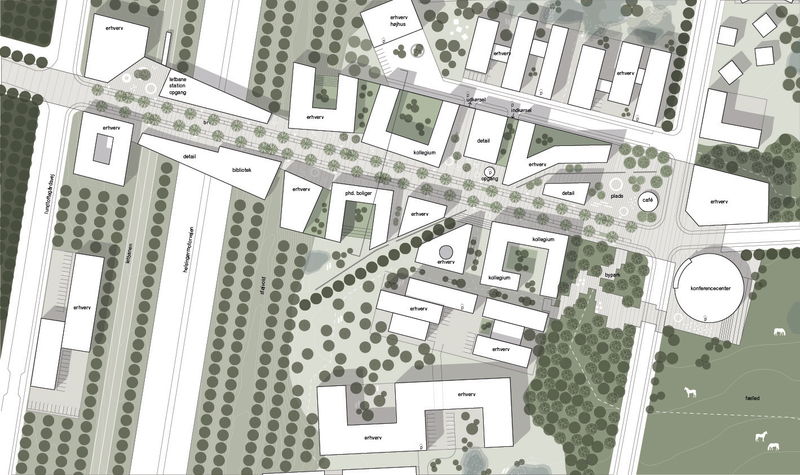 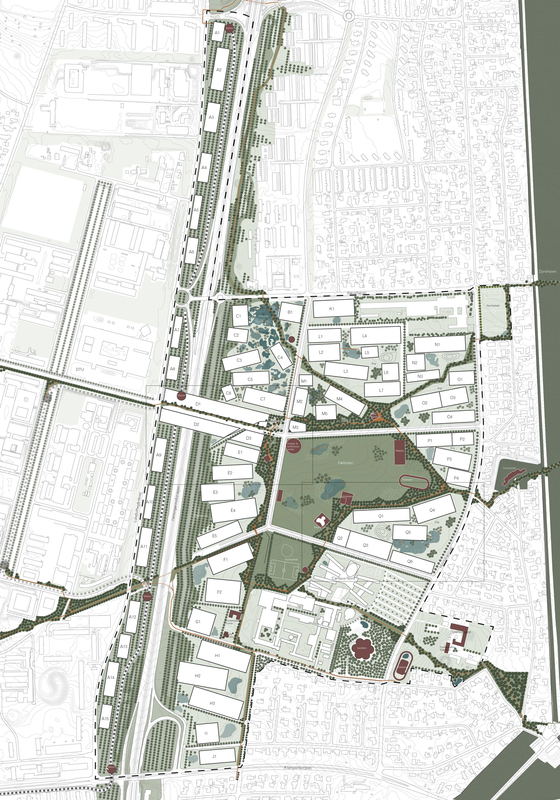 With this opportunity as our inspiration, our main proposal is to connect the site to DTU with a bridge spanning over the highway, leading directly to the main street of Dyrehavegård. 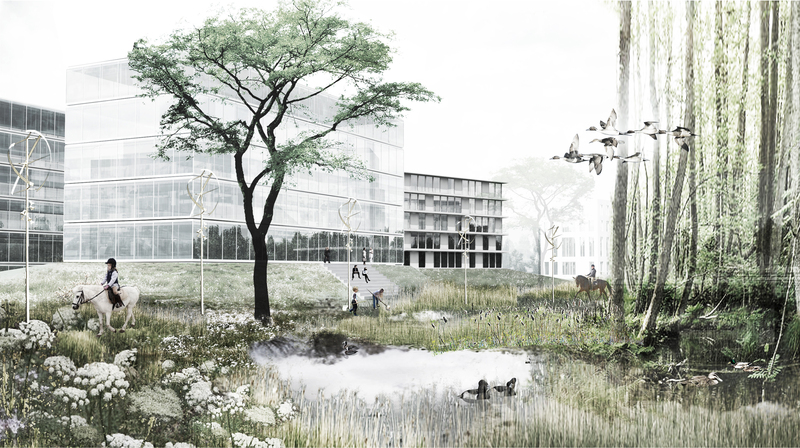 Here we propose to concentrate mixed functions – such as innovation houses, dormitories and research buildings, cafés, industry and retail – and in this way create the foundation for lively and varied city life.